Trade Show Promotion Harvey the giant rabbit! Dozy Dave introduces the most effective marketing opportunity for your next Trade Show Promotion. 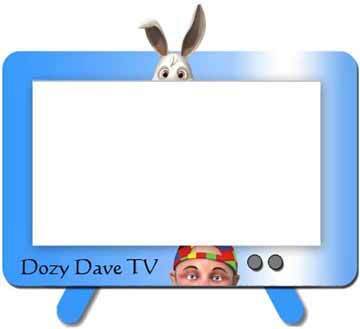 Harvey is a 9ft tall rabbit who carries Dozy Dave around inside a top hat whilst Dave is being carried around he can interact with the public, performing magic and making balloon sculptures and all the time he can promote your products and services. What we can do for you?. Dozy Dave & Harvey can stroll around any Trade Show Promotion your products and services, he can inform customers how to find your stand, or bring them along to your stand. He is a real show stopper. Harvey does not need to chase a customer, they come to him, they want to talk and they want their photograph taken with this unique illusion, ensuring that your company is remembered long after the trade show closes. 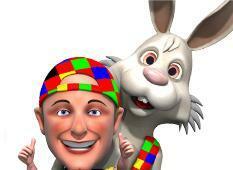 Harvey the giant rabbit is a fantastic way to promote your business. He can be hired on a daily, or weekly basis. A unique Trade Show Promotion marketing tool for your next trade show. Grab hold of new customers. Make sure that your company is the company everyone remembers, catch their attention like never before. Everyone will be talking about the giant magic rabbit from your stand. They will be Tweeting the photos and talking about it on Face-Book. Everyone at the Trade Show Promotion event will know about you and what you have to offer. The back of Harvey's jacket is velcro receptive, so it is quite simple to add your company name or logo to the back to enhance your company presence. He can also be fully customised in your corporate colours, or uniform should you wish?